PROVIDENCE – The strike of unionized Stop & Shop LLC workers entered its first full day Friday. 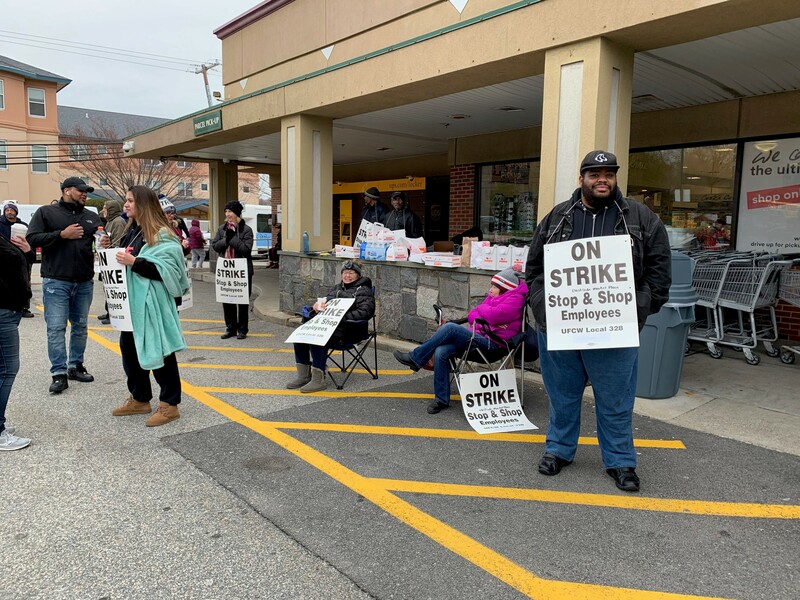 More than 31,000 United Food and Commercial Workers from locals 328, 371, 919, 1445 and 1459 who work for Stop & Shop are on strike in New England. The strike has shut down multiple Shop & Shop locations, including the East Side Market in Providence. The strike has garnered support from some local officials, including the entire Rhode Island congressional delegation, as well as numerous Massachusetts and Connecticut federal senators and representatives. Gov. Gina M. Raimondo sent a letter Friday to the company urging it to reach a “fair and equitable” deal with its workers. The union has argued that Stop & Shop is seeking to decrease benefit offerings and was negotiating in bad faith. Workers staged the walkout Friday. Stop & Shop spokeswoman Jennifer Brogan told PBN Friday that a majority of its stores remain open, operating with temporary workers and corporate staff, but did not have a specific number of impacted stores. Brogan also said that the company believes that its offer is both fair and reasonable. The company issued an update on its contract offer Friday as well, saying that its proposal would result in the contact being “among the best UCFW retail contracts in the country.” Brogan added that the company was ready to go back to the negotiating table at any time. The union has used Stop & Shop’s parent company’s $2 billion profit in 2018 as a major deciding factor in rejecting the company’s proposed contract. Chris Bergenheim is the PBN web editor. You may reach him at Bergneheim@PBN.com.